Here are the details about the CobraHead Tool from the company itself. The CobraHead® Weeder and Cultivator and the CobraHead® ‘mini’ Weeder and Cultivator are all-purpose, hand-held garden tools. The tools weed, cultivate, dig, plant transplant, and do numerous other tasks well. The CobraHead blade can be thought of as a steel fingernail®, and the entire tool can be regarded as an extension of the user's hand. Made in Wisconsin, USA, the tools incorporate handles that are a mix of recycled plastic with an organic strengthening fiber. They are among the "greenest" garden tools available. The handle composite is extremely tough and durable, molded around the blade shaft in a way that the blade cannot work loose - and it is comfortable for either right hand or left hand use. The tools have a tempered steel blade in a unique "cobrahead" shape that easily cuts through soil. The blade grabs weeds and pulls them out intact, including the whole root. The edges of the blade are quite sharp, so the tool is also effective for scalping and cutting off weeds at or below ground level. The weeding capabilities are superior to all other small weeders currently being marketed. The blade has excellent digging and ground cutting capabilities, making it an ideal tool for cultivating, digging out plants and bulbs and transplanting. It is an effective furrower and hole maker for seeding. It can replace commonly used garden tools including trowels, small hand forks, dibbles, and hand hoes. The CobraHead® Weeder and Cultivator weighs 9 oz (255gm.). It is 13" (33 cm.) long. 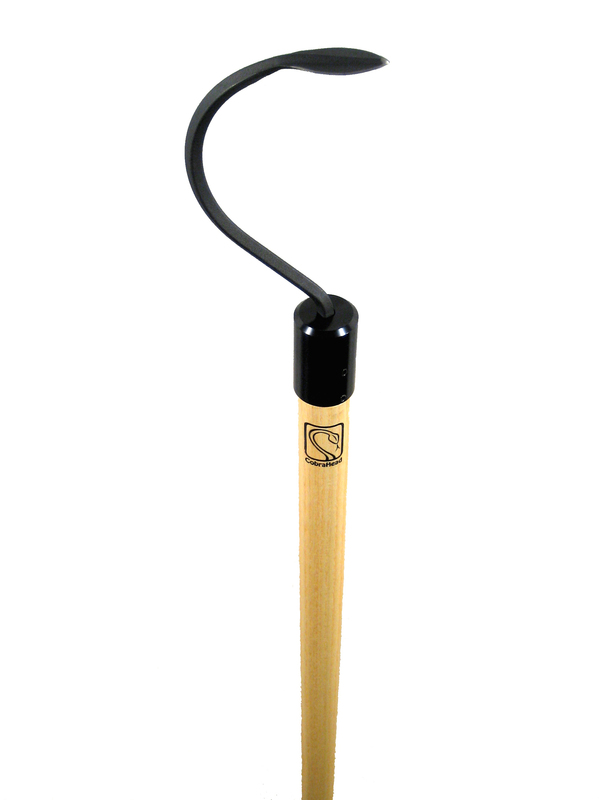 The CobraHead® ‘mini’Weeder and Cultivator weighs 4.5 oz (128 gm.). It is 8.75" (22 cm.) long. The CobraHead® Long Handle uses the same “steel fingernail®” blade as the award-winning CobraHead® Weeder and Cultivator hand tool; exceptionally tough and well made in Wisconsin, USA. The long handled tool is easy to use. Numerous gardening, landscaping, and agricultural tasks are performed by hand, while standing up. Uses for the tool include cultivating, weeding, scalping, furrowing, raking, de-thatching,edging, compost bed maintenance and more. 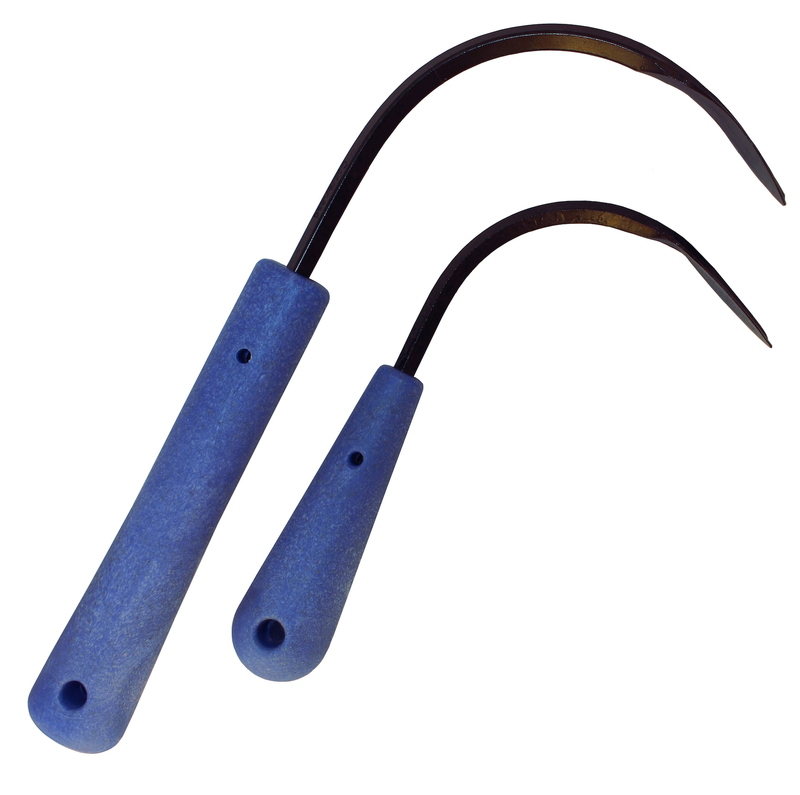 Older gardeners and gardeners with limited kneeling and bending ability will find the tool an especially enabling device. The tool is ideal for agricultural workers for whom short handled tools are either discouraged or not allowed. It weeds deeply and precisely next to valuable crops without damaging the crop or its roots. The CobraHead® Long Handle weighs approx. 2 lbs. 6 oz. (1.08 kg.). Three handle lengths are available – 48", 54", 60". Overall tool lengths are 56”, 62", and 68”. More information about CobraHead Tools can be found on our web site.